We've written frequently about the critical issue of bacterial resistance, the collapse of research in the antibiotic field (you can blame the FDA for that) and the ticking time bomb which, when it blows up will leave us defenseless against many bacterial infections that were once easily treatable. My 2012 op-ed in the New York Post entitled "The coming gonorrhea epidemic" examines how much trouble we are in, and the main reason why this is so. As bad as untreatable gonorrhea sounds, patients, especially those in hospitals, face a far greater threat. Clostridium difficile (C. diff) is one of the many bacteria that inhabit our gastrointestinal tract. Normally, it is harmless. But, it has a trick up its sleeve: It's not killed by the antibiotics that are normally used. When intensive antibiotic treatment is employed to treat out a particular infection, it often wipes out other bugs as well, including many of the bacteria that inhabit the gut. In the absence of these harmless (or beneficial) bacteria, C. diff which normally makes up only a few percent of the gut biome gains a monopoly, since it no longer competes with the many other pathogens in the stomach and intestines. It takes full advantage of this monopoly, and this can lead to an overgrowth. The germ can also be spread, usually due to poor sanitation procedures in hospitals. 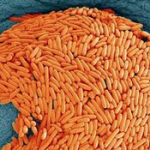 C. diff is especially dangerous because it produces a toxin that causes serious, and sometimes fatal gastrointestinal symptoms, especially diarrhea. In 2011, it caused 500,000 illnesses and 29,000 deaths. That said, some very good news comes to us courtesy of Dr. Jean Wiedeman, the medical director of pediatric antimicrobial stewardship at the University of California Davis Medical Center, Sacramento. During a recent presentation at the IDWeek 2015 meeting in San Diego, Dr. Wiederman reported that antibiotic stewardship, paying careful attention to how antibiotics are used, C. Diff, infections in children were decreased three-fold (! ), from from 9.2 to 2.8 per 10,000 patient days. This is huge. In combination with improved hygiene and disinfecting procedures in the hospital, it would seem that, even in the absence of a new antibiotic to kill it, C. diff. infection can be greatly reduced a significant advance in taming a very tough bug.